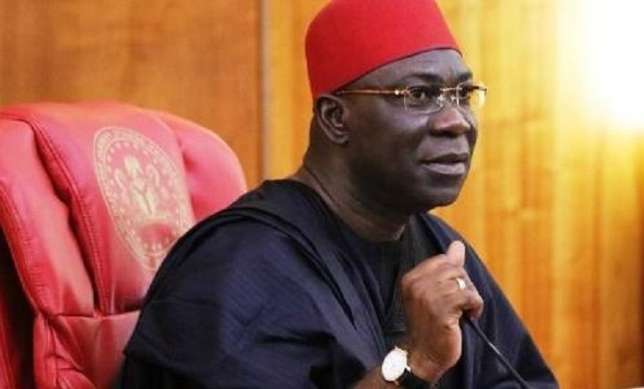 The deputy Senate president Ike Ekweremadu has accused the President Muhammadu Buhari-led government of constantly provoking the Igbo speaking people of the southeast geo-political zone. Ekweremadu, representing Enugu West Constituency made this claim when he played host to the people of Ezeagu local government area of Enugu state who paid him a solidarity visit, on Sunday, April 17. According to him, unless Ndigbo were given their due respect and share in the allocation of the nation’s resources and political positions, the nation will not make the desired progress, This Day reports. He said: “We are being provoked everyday by the government of this country. “Let me remind you that we are going through the difficult period in Igbo land. As Ndigbo, we are going through trying period, we are being provoked everyday by the government of this country in the way they treat our people, especially the marginalization going on at the federal level by the federal government. He said Ndigbo had done so much to the country and deserved some respect, stressing that until “we get our respect, Nigeria will never be the same. “So, any person who thinks that Igbos will be relegated and there will be peace in this country is joking. We believe in equity, we believe in justice. “This country is big enough for everybody. Nigeria needs energy and ingenuity of Igbos, they need our creativity, they need the enterprise of Igboman and we can combine the attributes with the other tribes and Nigeria will be great. So we will continue to work on this to ensure inclusiveness in the governance of this country. We will never accept the situation where Igbo people and indeed any tribes will be excluded from the governance of this country.